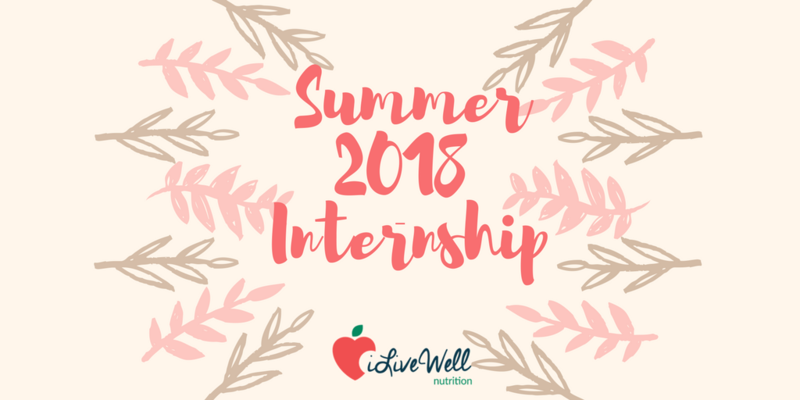 iLiveWell is Now Accepting Applications for our Summer 2018 Internship! iLiveWell is an Austin, Texas-based nutrition therapy private practice founded in 2007 by Adrien Paczosa, RD, LD, CEDRD. The vision of iLiveWell is to provide access to Registered Dietitians for all who seek qualified nutrition professionals with the mission of empowering individuals to optimize their unique healthy body plan through food and nutrition. The iLiveWell approach is based on educating and inspiring clients to find a personalized balance that works best for their body type and lifestyle. iLiveWell believes that through proper guidance and motivation in a positive and supportive environment, everyone can reach a higher level of wellness.